WineStix Segments are a new form of oak integration for wine, designed to give new barrel flavors with an extraction time similar to cubes. The combination of Short and Long grains result in amazing gradience of flavor similar to barrels, while extracting significantly quicker! 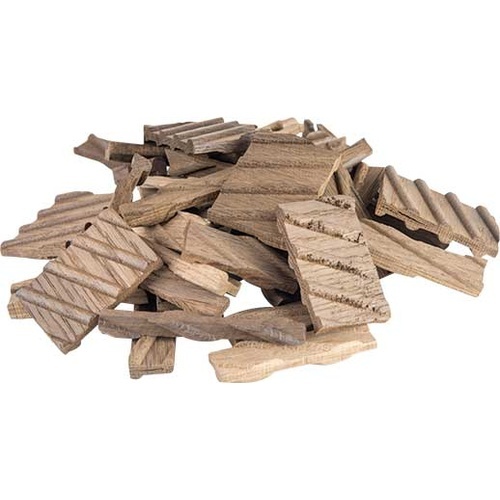 These WineStix Segments feature a Toast Blend of 40% Medium, 40% Medium Plus and 20% Dark toasted stave. One 1 lb/490 grams treats approximately 100 gallons of wine. Due to careful aging and seasoning of the American Oak and a precise toasting, WineStix offer specific flavors and aromas that add character to your wine! Please Note: Allow 2 months extraction time to balance the extractions of short and long grain. This is our fastest extraction. Removal of the wood early only allows certain extractions of flavors and primarily from the short grain in the WineStix® milling. The end result is in likeness to a second use Barrel.